We have launched a new area of our website dedicated to the use of GA mice. The articles and resources are focused on approaches to reduce and refine their use. Dr Sara Wells from MRC Harwell will be contributing commentary pieces over the coming months, on topics related to breeding and colony management. The 2014 international NC3Rs Prize, sponsored by GlaxoSmithKline, is open for applications. The prize recognises a piece of research published in the last three years which has a 3Rs impact. The winning paper will receive a grant of £18k, plus a personal award of £2k, with highly-commended entries receiving a £4k grant and £1k personal award. Application deadline: 5 December 2014, 4pm. The annual Westminster poster competition for early-career research scientists, engineers and mathematicians is now open. Two NC3Rs researchers have taken part in previous competitions. It is an excellent opportunity to engage Members of both Houses of Parliament with advances in the 3Rs. Application deadline: 5 December 2014. 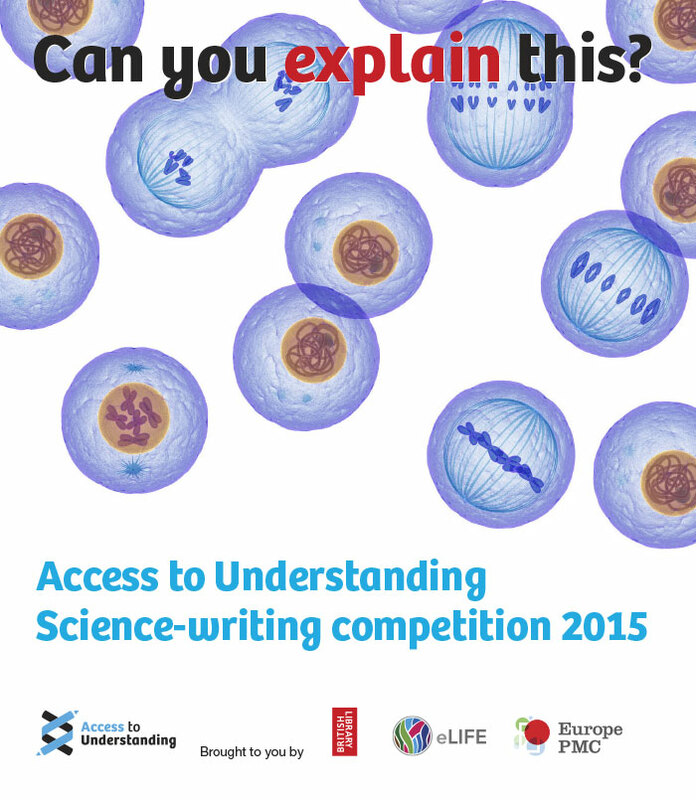 The British Library, eLife and Europe PMC have launched the Access to Understanding 2015 science-writing competition. The short list of publications selected for this year's competition includes a publication from one of our grantholders. The competition is open to all current biomedical and life sciences PhD students and post-doctoral researchers. Application deadline: 9 December 2014. The Society of Biology is holding their inaugural one-day conference, 'Biology Now' in November. Hear from researchers from across the life sciences, along with biology-themed entertainment and networking. View the full programme and book now. The 2014 CRACK IT Challenges deadline is approaching, the three Challenges are: QSARs Mix: to use existing toxicological data repositories to develop in silico tools to predict toxicology endpoints for substances of interest, Targeting off-targets: to develop novel approaches to address the potential human safety issues arising from chemicals interacting with 'off-target' receptors, Neuratect: to generate physiologically-relevant human stem cell-based models to identify neurotoxicity. Application deadline: 19 November 2014. Derivation of point of departure (PoD) estimates in genetic toxicology studies and their potential applications in risk assessment. NC3Rs-funded researcher Dr George Johnson publishes work in Environmental and Molecular Mutagenesis demonstrating that a quantitative approach in genotoxicity studies has the potential to reduce animal numbers when evaluating chemicals for human risk. Owing to its potential impact, the work was selected as "Editor's Choice" and is featured on the journal's cover. This month, NC3Rs-funded researchers from across the country have been busy running public engagement events. Here's a selection of photos from these events. Professor Paul Matthews, from Imperial College London, explains how he thinks the advancement of preclinical imaging is likely to impact on the 3Rs. Professor Kevin Shakesheff, Director of the UK Regenerative Medicine Platform Hub for Acellular Technologies, gives an insight into his hopes for the future of stem cell research.